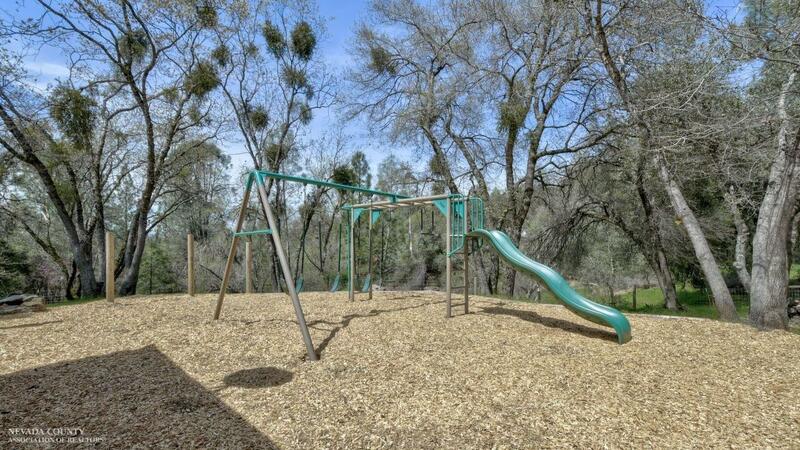 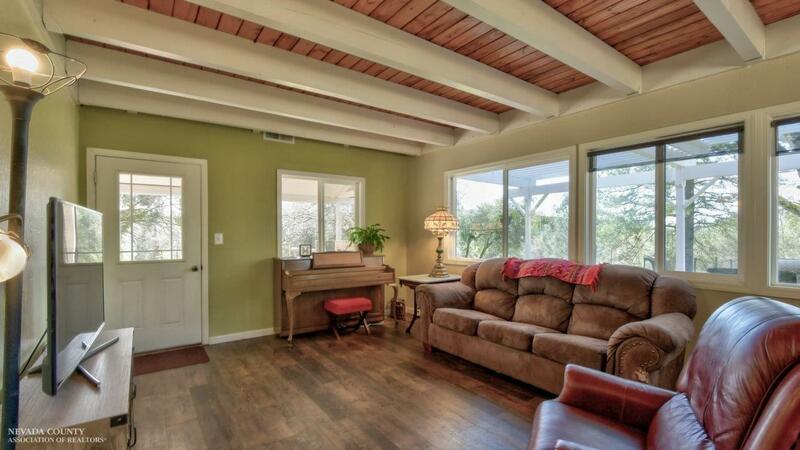 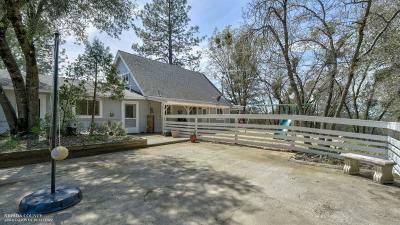 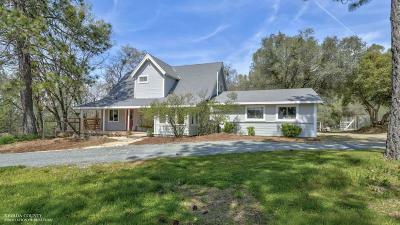 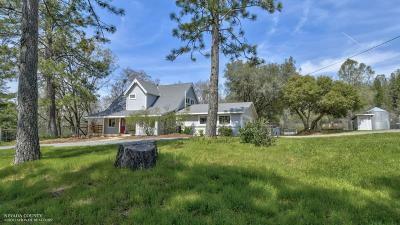 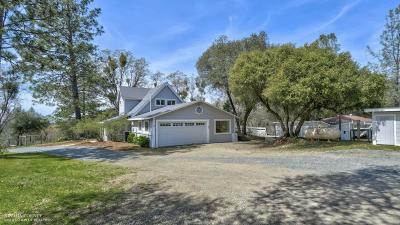 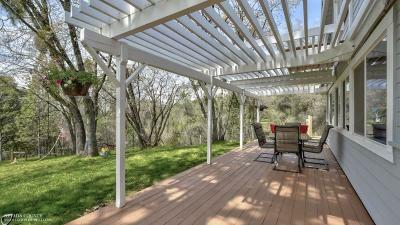 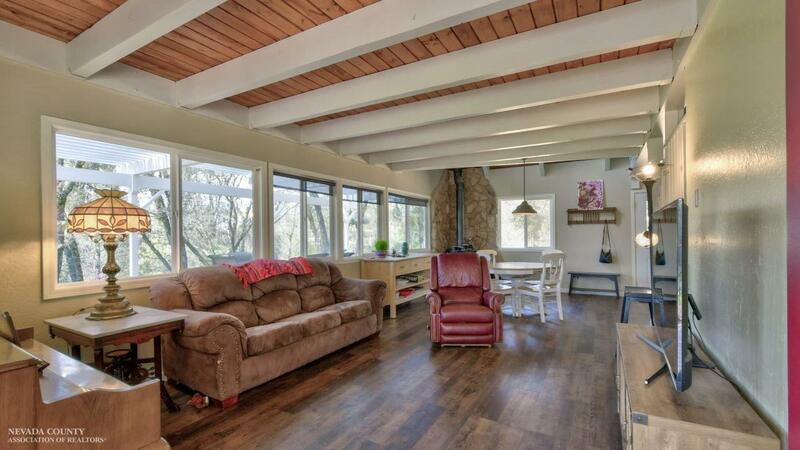 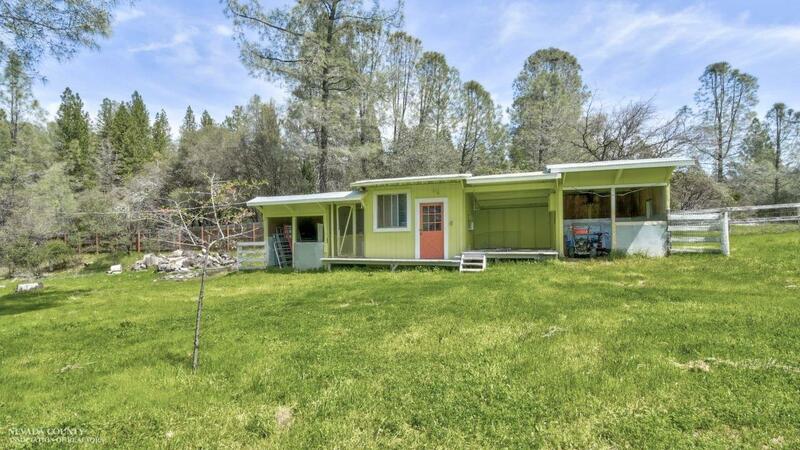 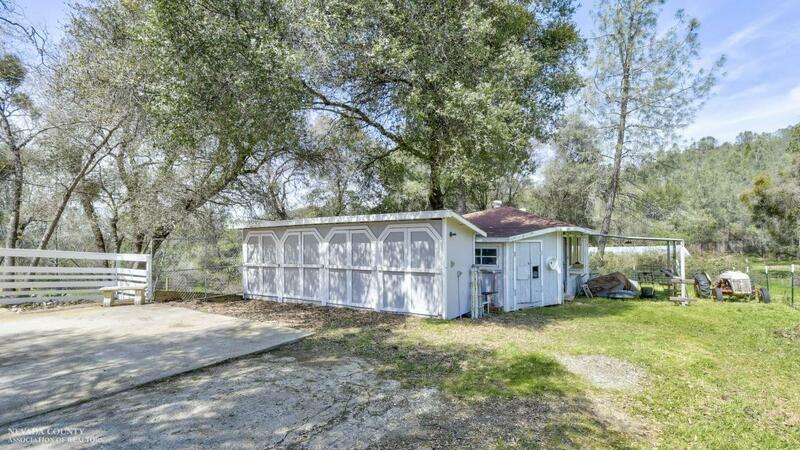 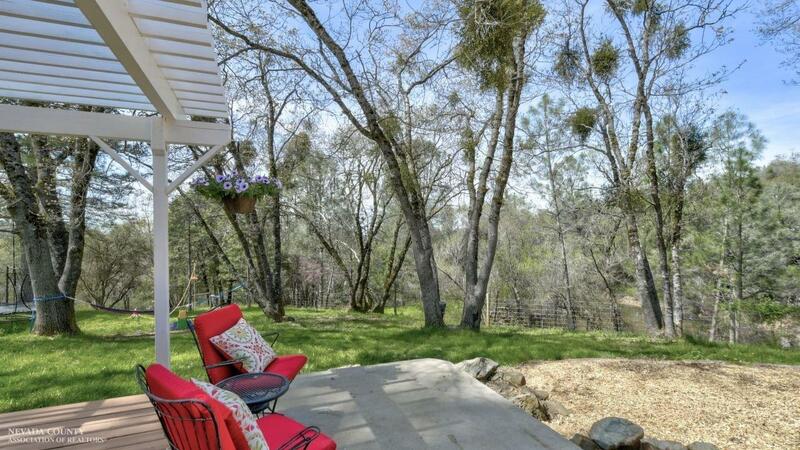 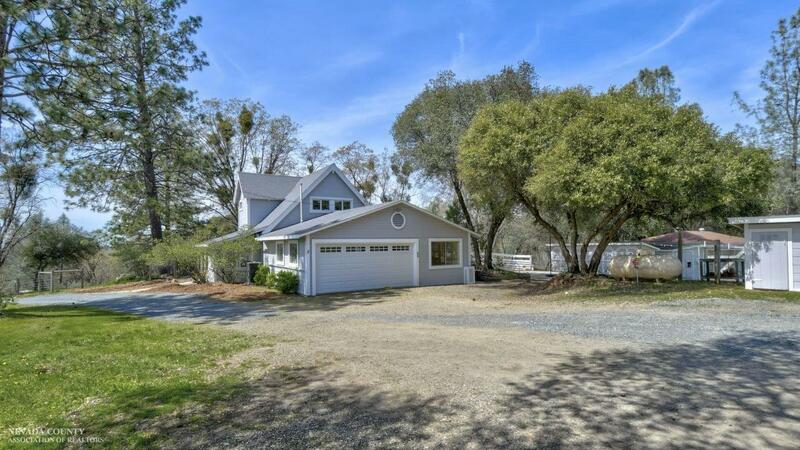 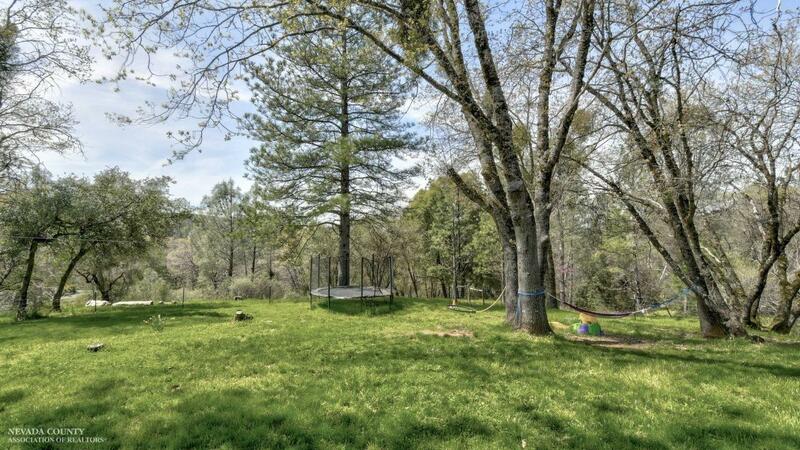 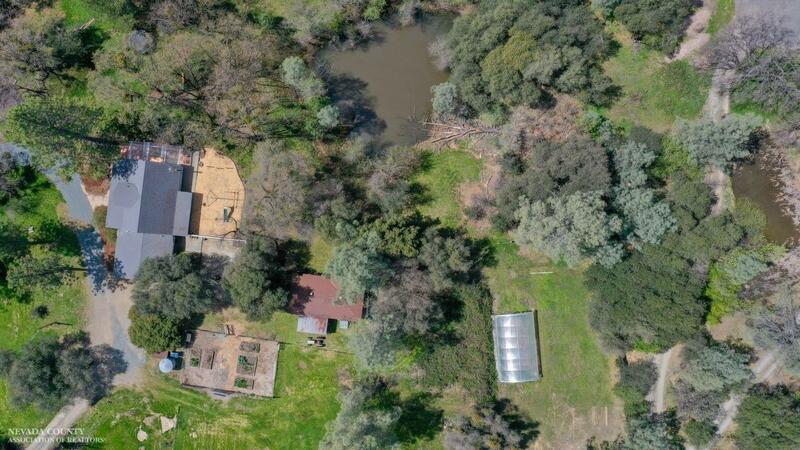 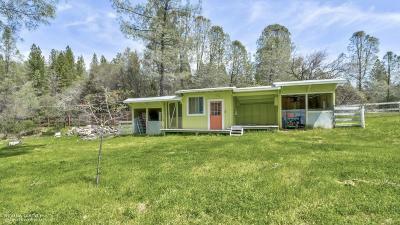 Sweet Nevada City Country Ranch, a small, quiet farm on 5 level acres. 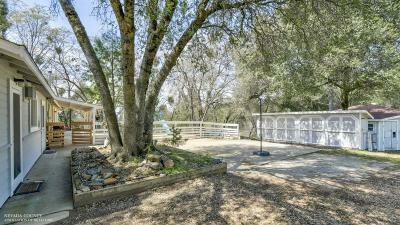 Property is fenced & x-fenced for your animals & 4H projects. 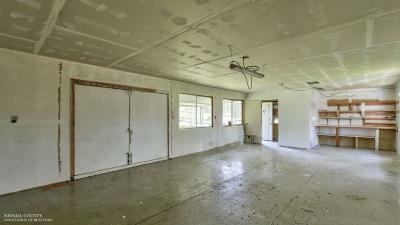 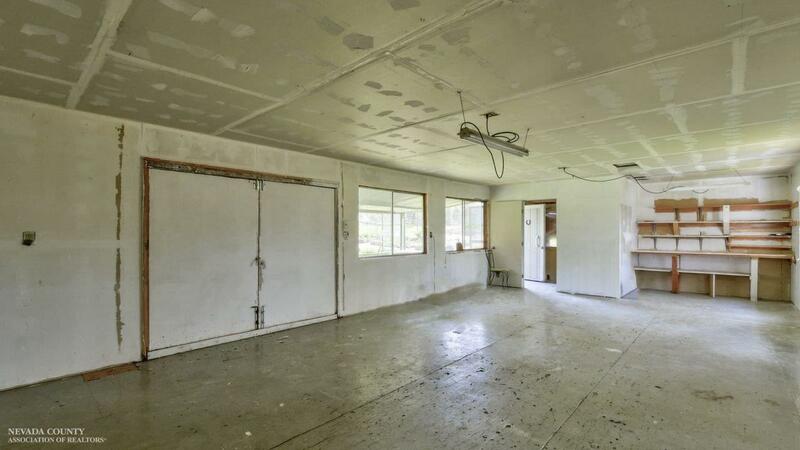 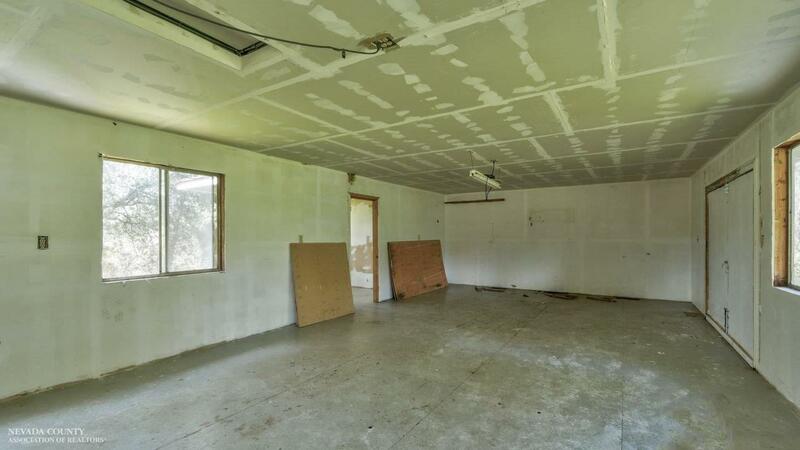 850 sq ft workshop that could also be a guest unit. 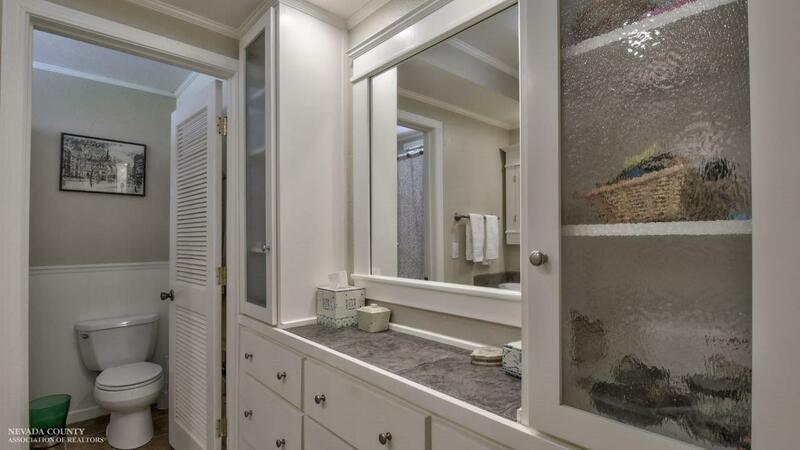 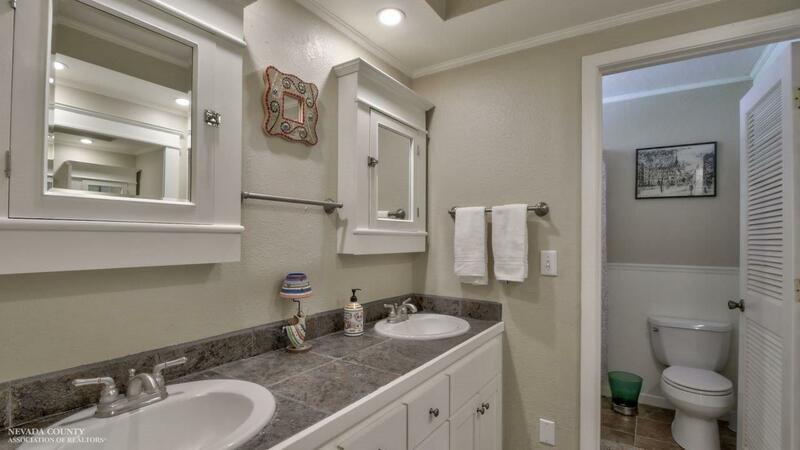 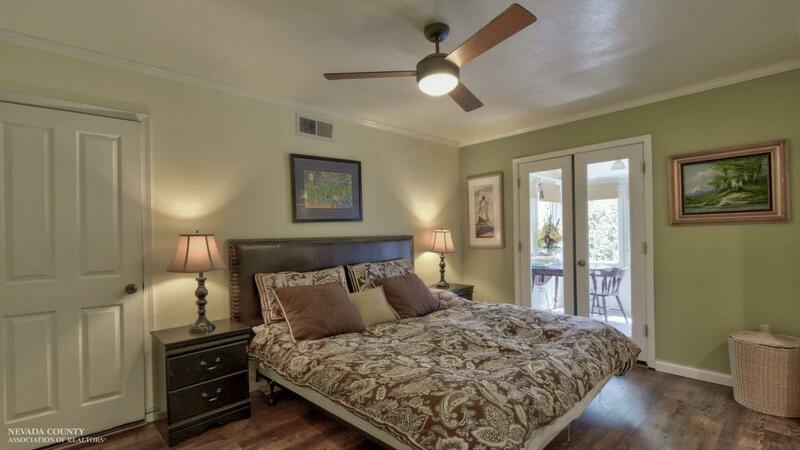 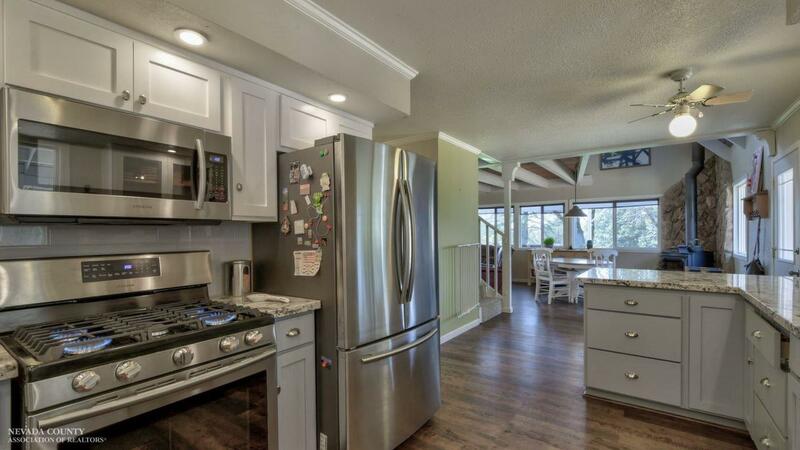 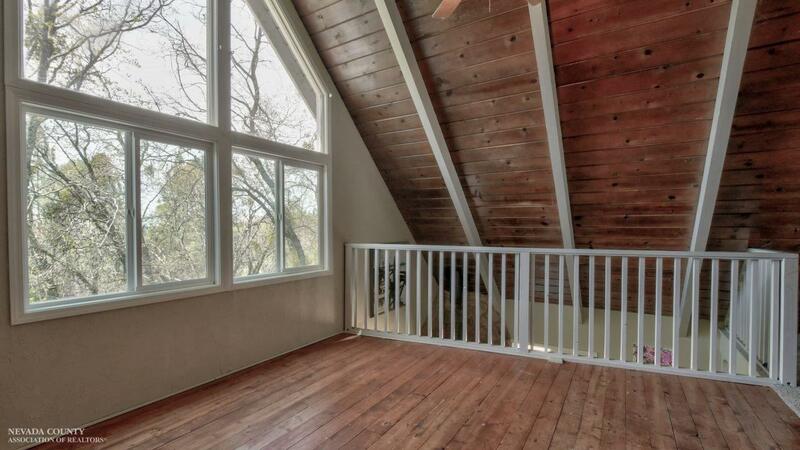 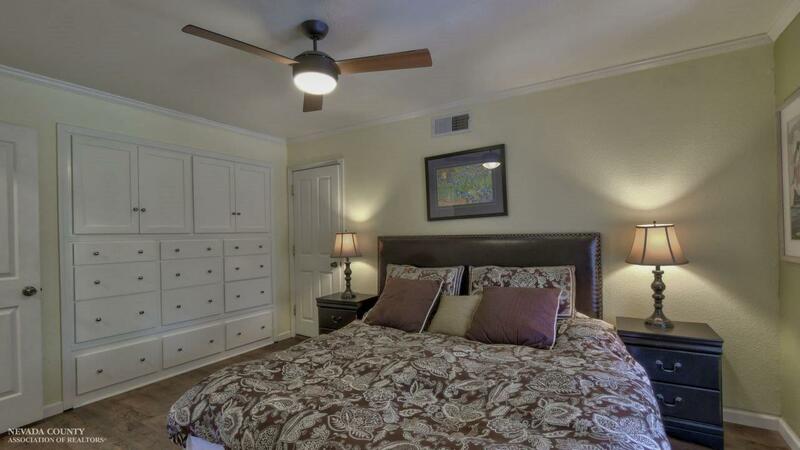 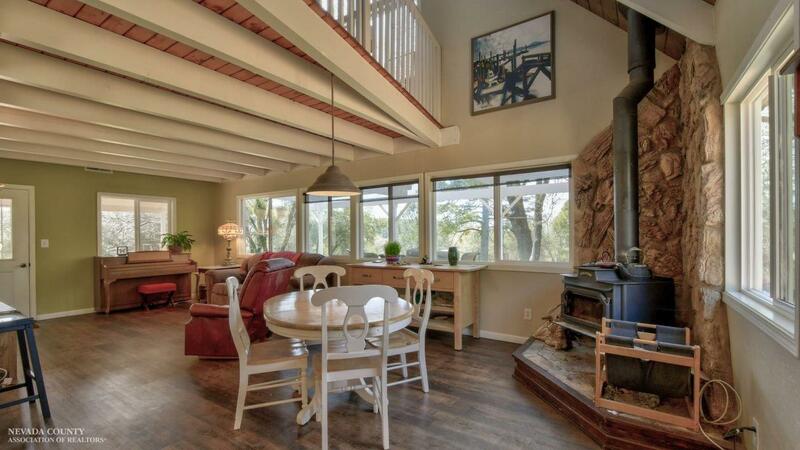 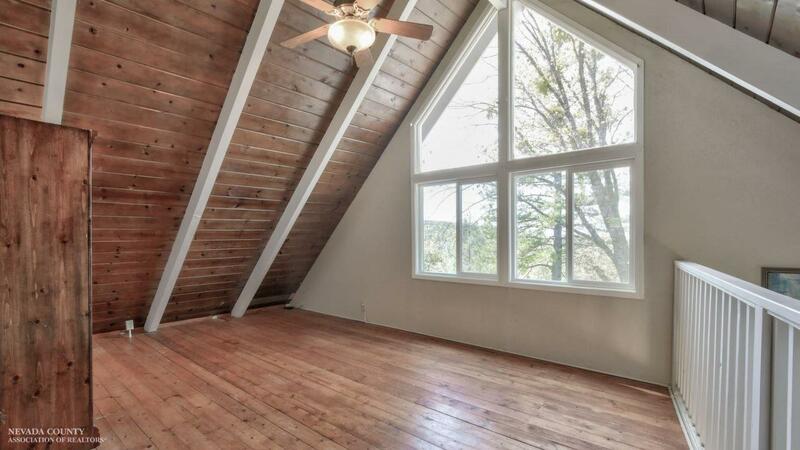 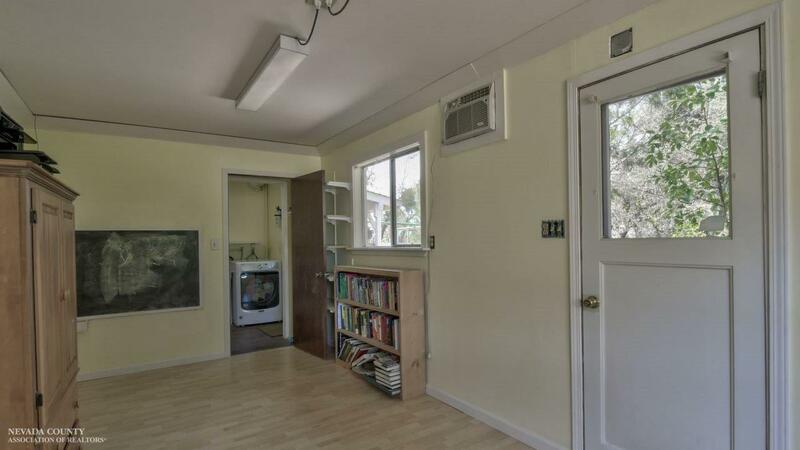 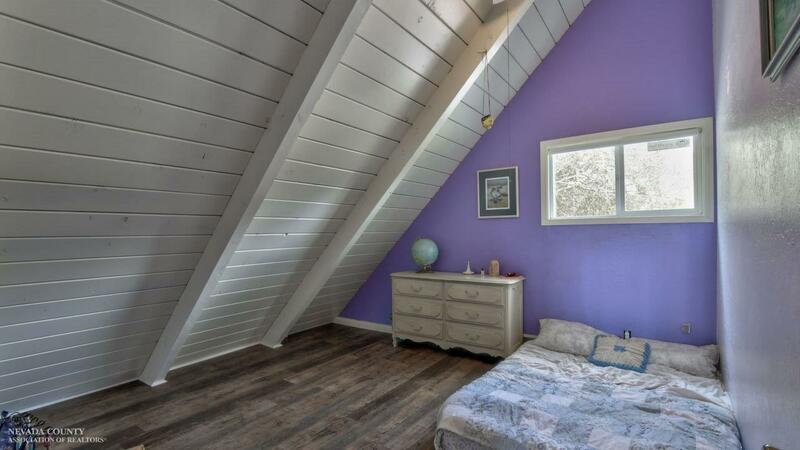 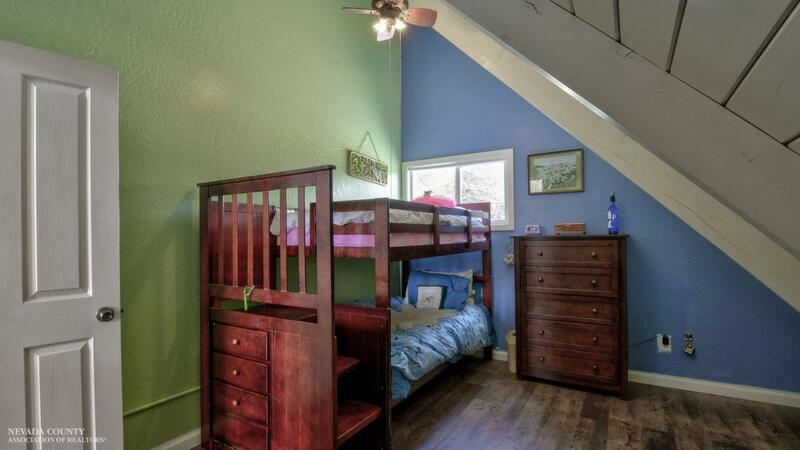 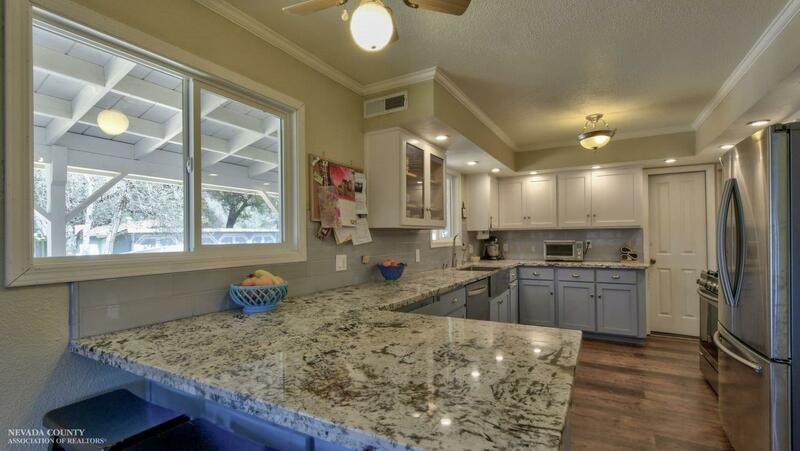 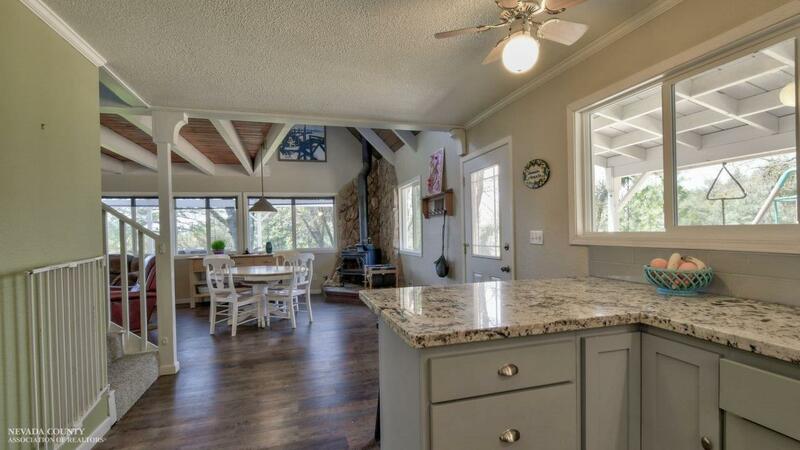 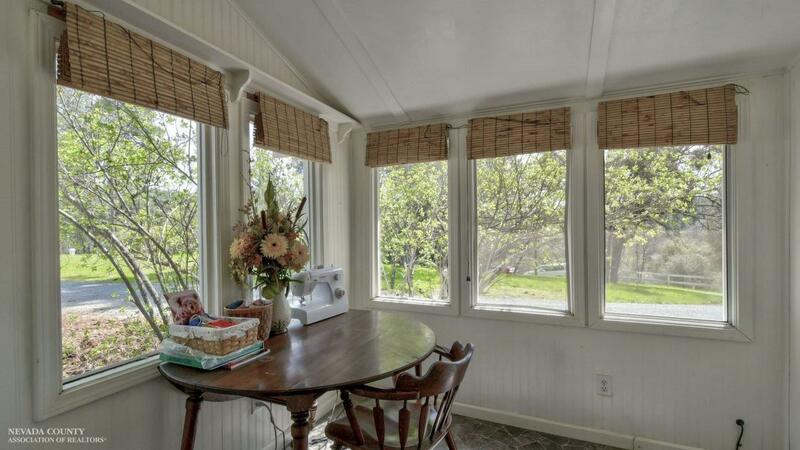 Remodeled interior with a separate office, loft & laundry rooms. 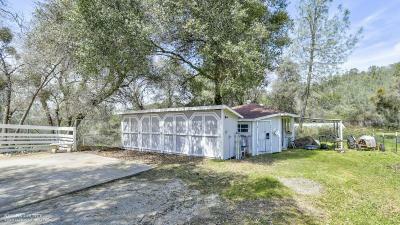 Exterior with covered & uncovered decking, patio, green house structure, tack room, barn/storage structure, add'l large storage shed, water tank, fenced garden, large seasonal eco frog pond, circle driveway; a nice place to call home!